Brexit will likely put brakes on the UK’s growth prospects and hamper London’s position as a premier international financial services market, says A V Rajwade. The UK is currently the fastest growing major economy in the European Union (EU). After the result of the June 23 referendum, and the uncertainties created by Brexit, it is questionable how long this growth momentum will last. Most economic analysts, including the International Monetary Fund, had earlier forecast adverse consequences of a divorce from the EU. After last Friday, British Prime Minister David Cameron, who has announced his intention to leave in the next few months, must be ruing the decision to call for a vote. As recently as February he had negotiated for Britain, an “opt out” from the commitment to “ever closer union” incorporated in the Treaty of Rome (1957), the starting point of the European Project. Cameron then thought that this “opt out”, along with some other changes on economic/financial issues, was a satisfactory package and he was confident of winning the June referendum. 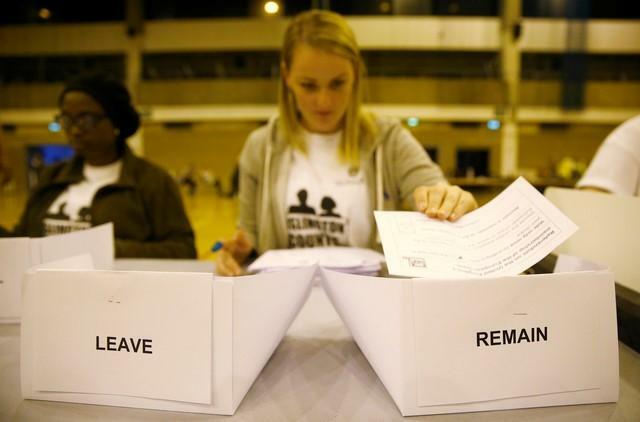 Many are worried about the repercussions of the divorce; over the weekend, about three million people signed a petition requesting Parliament for a second referendum on the issue. This is unlikely and it seems England and Wales will have to live with Brexit, negotiating the detailed terms of the separation; Northern Ireland and particularly, Scotland, both part of the United Kingdom, may well separate from the UK to remain in the EU, the former, perhaps, after merging with its southern neighbour, the Republic of Ireland. The financial services industry, which has made London the world’s premier international financial market, may well migrate some activity to Frankfurt, Hong Kong and Singapore. No wonder the City voted heavily in favour of remaining in the EU, while much of the traditional heartland of British mining and manufacturing industry supported Brexit. The last three decades of Anglo-Saxon economic ideology has accorded far greater priority to the prosperity of the financial services industry than to the real economy, which used to create reasonably well-paid jobs for a large number of people. One result has been that income inequalities have grown rapidly, so the relatively worse off are naturally opposed to the immigration policies of the EU. Their worry is the “outsider” will compete for the low-paid jobs; the dislike of the immigrant is even more when she is from a different ethnic group. Chances are that Brexit will have far greater economic impact on the UK than on the EU. Not that it will have no effect on the EU: it may well lead many countries in the euro zone to review the cost-benefit of the single currency, which has imposed significant and material restrictions on their sovereignty. The condition that has perhaps had the biggest impact on growth and employment is the holy cow of fiscal austerity: While Greece’s gross domestic product (GDP) has dropped 30 per cent since the crisis of 2010, Spain and Portugal have got just one more year to bring their deficits down to the prescribed limits. Italy continues to suffer from large unemployment and a major problem of bad debts for its banking industry. In several countries - from Austria to France and Netherlands - extreme right-wing parties are gaining in strength, also because of immigration policies. Polls suggest that a majority of the population in Italy and France desire a UK-type referendum on the EU/single currency, though the latterdoes not have an “opt out” provision. Perhaps, the biggest immediate impact of the result of the referendum has been on currency markets. The British pound dropped 12 per cent, which is not much of a surprise, before recovering a little. The Japanese yen has appreciated significantly and is currently quoted around JPY 102 per USD; the exchange rate was over JPY 110 a month ago. The appreciation of the yen makes it even more difficult for Japan to come out of the deflationary trap of the last couple of decades. Brexit may not have much of a direct impact on the Indian economy. However, one comment of the Bank of England governor, quoted in a Financial Times editorial post the referendum, should be of interest to our policymakers. He said the UK had become dependent on the “kindness of strangers” to finance its current account deficits. Obviously, he was referring to the portfolio capital inflows, which have become increasingly important for balancing the books. The Bank of England’s Financial Stability Report of July 2015 reported that the UK’s net international investment position is a negative 20 per cent of GDP; ours is not much different. The author is chairman, A V Rajwade & Co Pvt Ltd.